We are dead serious about the ocean plastic problem… We are also serious about our puns. 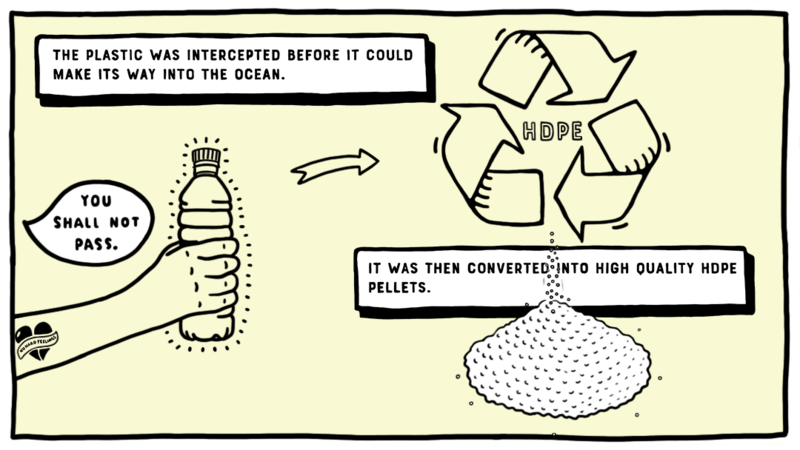 We started Spooked Kooks with a mission to make the best performing and most durable softboards containing as much recycled plastic waste as possible. 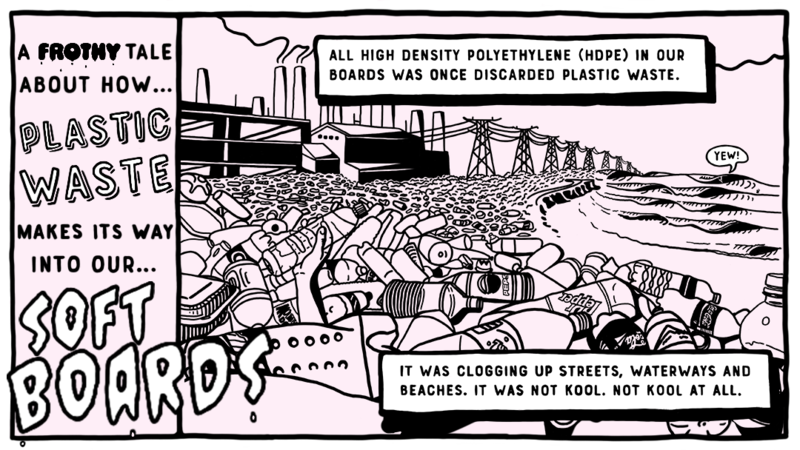 100% of all High-density Polyethylene used in our boards is recycled post-consumer plastic waste. 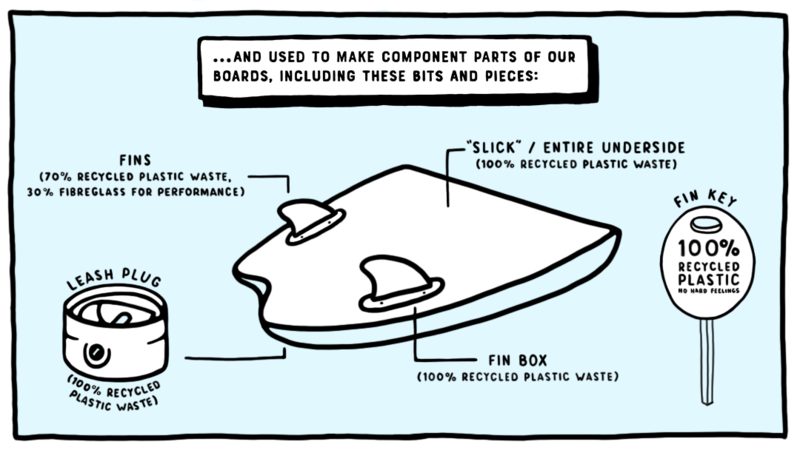 This includes the entire “slick” (underside of the boards), leash plug, fin boxes, fins and fin key. Our core mission flows through our overall approach, from looking at ways we can integrate other recycled materials and sustainable non-plastic materials into our boards, to ways we can improve our manufacturing process, packaging and products to minimise the amount of new plastic used and waste created. Check out our full range of softboards HERE. While we hope you have a long and wave-filled life with your new board, if at the end of its life you decide not to use it as wall art, send it to us at Shop 1, 1-7 Curlewis Street, Bondi Beach, NSW 2026 Australia to be recycled, and we’ll give you 10% off the next board you get from us. Thanks for visiting! If you have any questions, please get in touch with us via info@spookedkooks.com.